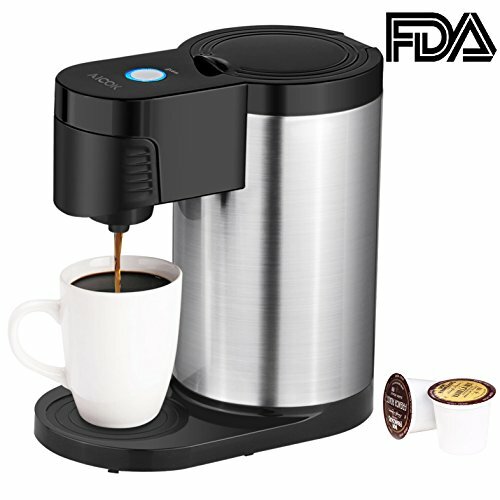 Aicok Single Serve Coffee Brewer Stainless Steel always create a fresh and quick cup of coffee for you every time. Perfect for trip, homes, dorm rooms, office and apartments. 2.This coffee maker is special designed for the single cup coffee. 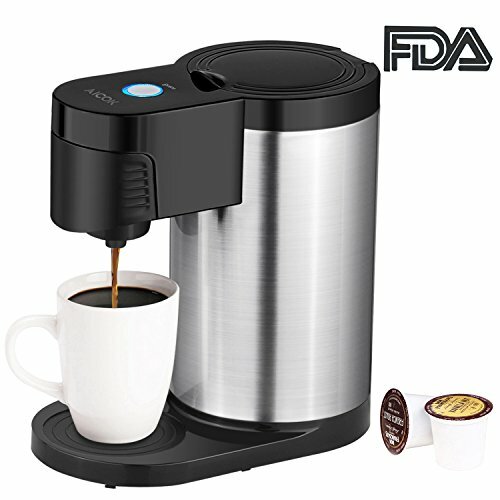 Please use the original cup coffee capsule when brewing coffee. Otherwise, it may cause coffee ground to your mug. 3.Mug and Single Cup are not included in package, please pay attention. 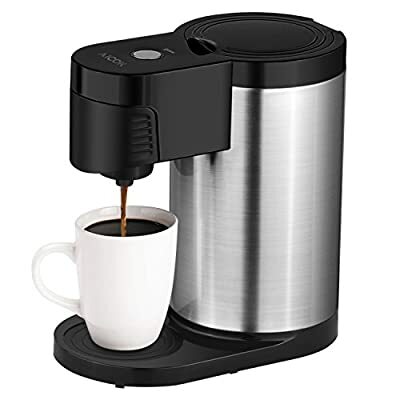 Get the coffeemaker that will brew your freshly ground coffee or favorite single cup, the Aicok Single Serve Coffee Maker - Great gift for your family or friend! 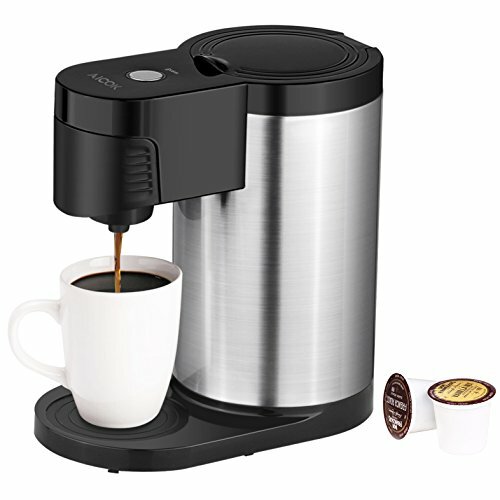 STAINLESS STEEL BODY: this k cup coffee maker with a stainless steel body, more durable and sturdy. REMOVABLE CARTRIDGE and LARGE WATER RESERVOIR: easy to clean, the cartridge can be removed to clean onto the top shelf of a dishwasher in low temperature cycles. Large capacity water reservoir allows you to brew several cups before refilling. Please immerge the water sensor to ensure the machine function well. K CUP DESIGN: Allows different cup sizes, so you can use the size you prefer, brews a fresh cup of coffee in under 2 minutes. Compatible with K-Cup packs. ONE TOUCH START with AUTO SHUTOFF: easy to use, simple working process and auto shut-off, energy saving. Light weight and compact design make it perfect for your desk at home or work. 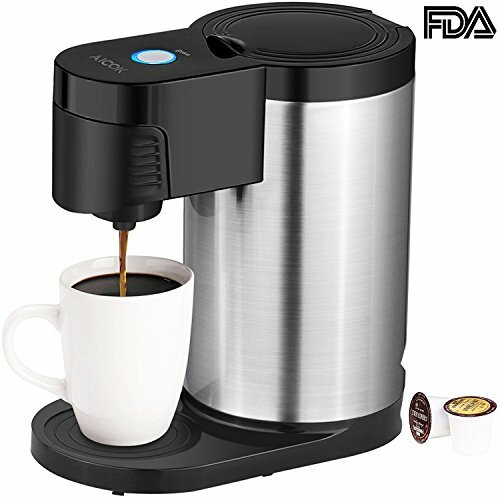 CERTIFICATION AND WARRANTY: BPA free material for water tank and UL,ETL certification for coffee brewer give you 100% guarantee; 2 year manufacturer warranty.